Let’s explore the world of IT together! We’ll learn the basics of programming, we’ll teach you about robotics or you can try virtual reality. We’ll show you that the world of IT can be fun! We organise after school clubs, workshops, camps and other events for girls and boys ages 8 to 18. We introduce them to the world of information technology through fun activities and give them an opportunity to practise their logical thinking. We want to help bring up a new generation of IT users and enable them to grow into active leaders who will use technology to change the world. Continuous development of digital technologies can’t be stopped. 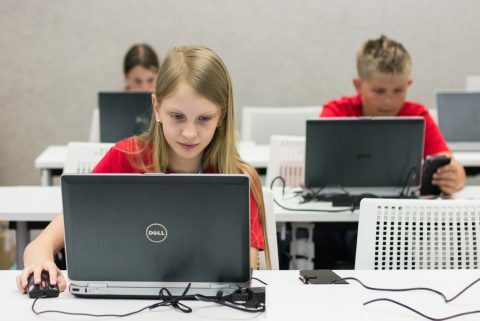 Computer skills are beginning to be just as important as speaking a foreign language. 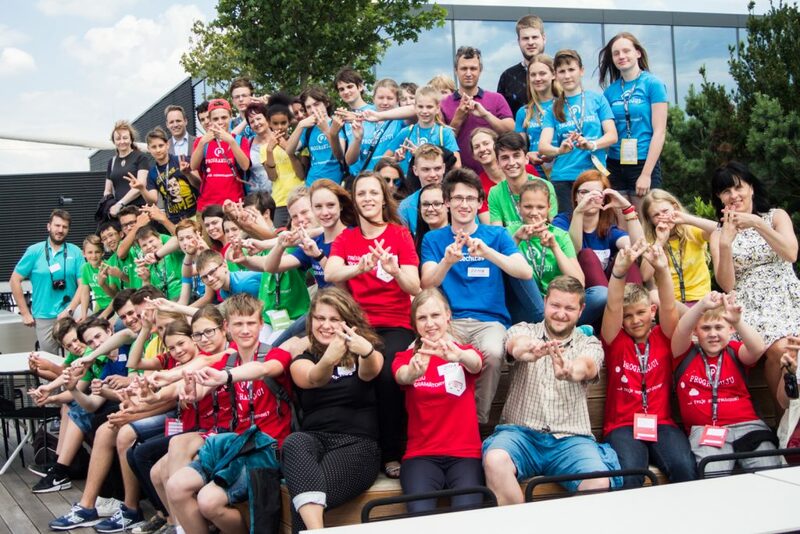 New Generation Czechitas is here to introduce the world of IT to young people in a positive way and pique their interest in this area. According to the European Commission, Europe will face a shortfall of up to 900 000 IT professionals in the next few years. This is a big opportunity and it is definitely worth diving in head first! We want the new generation to use technologies to change the world for the better. This is why we organise events for women as well as children and teens. And the best part is that we make everything fun. We organise events for girls and boys in several cities. The dates and locations of specific events are shown in our calendar. We organise events through the course of the year especially to mark important events in the world of IT: Girls Day (April), EU Codeweek (October) and Hour of Code (December) to name a few. 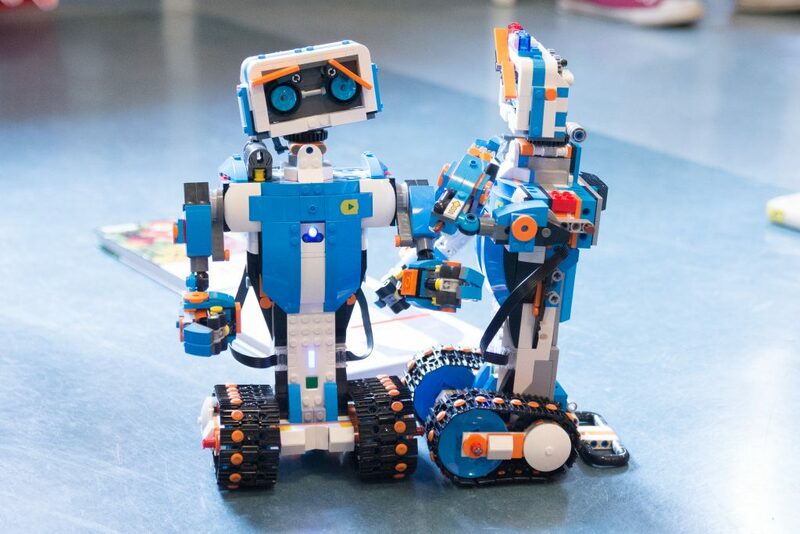 We can’t promise you that one weekend will turn your child into the next Ada Lovelace or Bill Gates but at least they can find out whether IT is a good fit for them and something to explore further. Weekend events on various IT topics take place throughout the entire year. We organise summer day camps for children ages 8 to 12. 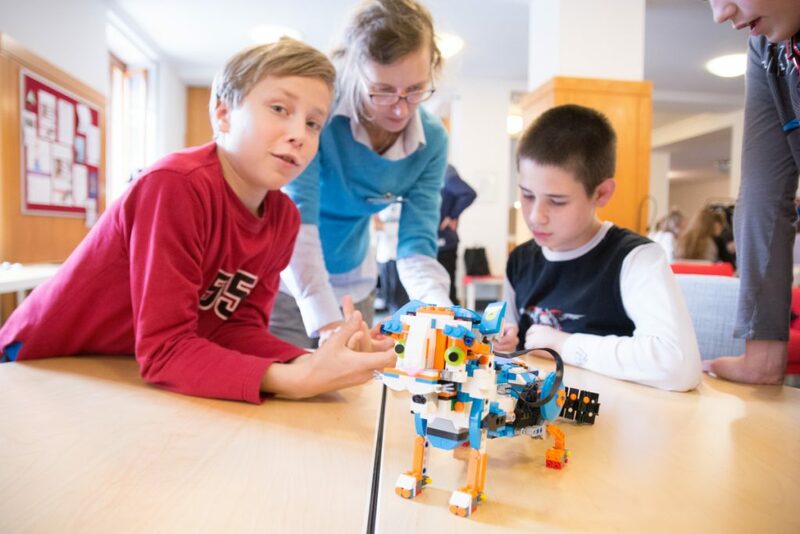 We teach the basics of robotics, physics and programming through fun activities. Your children will spend the day with us and we’ll return them to you for the night so that they can sleep comfortably in their own beds. A week-long camp designed for girls in secondary school. The girls will have the opportunity to try out various IT areas (programming, web creation and graphic design amongst others). The goal is to inspire girls to try their hand in IT and to learn to see IT as a natural path for their future education. We have good news for kids who want to see us on a regular basis! They can join our after school clubs during the school year. We use programming toys such as Strawbies, Legorobots and Ozobots to teach younger children (8-12 years old) to program. Fun is guaranteed! As for the older kids (13-16 years old), we teach them to program in Python. We offer online tutorials for those who can’t get enough of IT (or those who are unable to sign up for our events). These tutorials are perfect for children (as well as parents :)) who want to learn from home. We continuously add new materials. We’ve thought of teachers as well and organise half-day workshops for them. Visit the Programming Academy website to learn about school programs.